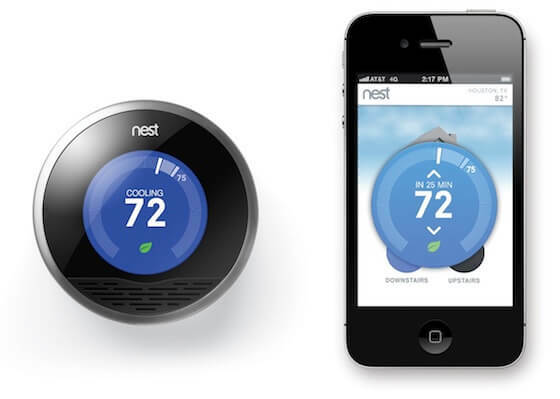 Use the Nest app to connect to your thermostat from a smartphone. Getting in early? Change the temperature miles from home. But it’s also a bit of a game, and people have been asking about the rules. Everyone wants more Leafs, others simply want to know why they got a leaf today, but not yesterday. It’s all about you. The Leaf isn’t related to overall energy use—it appears based on your interactions with your Nest, including on the Web and Mobile apps. You’ll see a Leaf when you choose a temperature that saves you energy.The Leaf is different for each home. Each home has its own baseline, so you might get a Leaf at 72°F/22°C while your neighbor gets one at 68°F/20°C. You can see when the Nest Leaf has learned enough about your home and habits to set a baseline by checking in the Learning section in Settings on your Nest. Just because you’re saving energy doesn’t mean you get a Leaf. Let’s say your schedule is set to cool to 76°F/24.5°C, but it’s a cool day and only 74°F/23.5°C outside. Nest isn’t using any energy, but since you didn’t make any temperature adjustment to help it save, you won’t earn a Leaf. You can earn a Leaf when you’re Away. You choose your Away temperatures, so you can get a Leaf while you’re gone if your Away temps are energy efficient. You can also earn a Leaf every day by turning Nest off. Earning a Leaf gets harder over time. 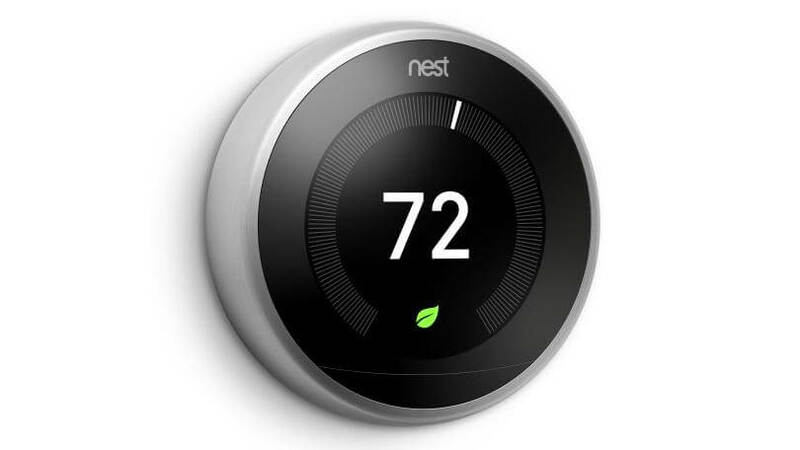 The Leaf is designed to guide you to bigger savings, so while you may get a Leaf by turning cooling up from 72°F/22°C to 74°F/23.5°C on day six with Nest, by day 60, a Leaf may only appear at 76°F/24.5°C. You can earn a Leaf while adjusting your schedule. If you prefer to change your schedule manually by adjusting temps or adding new ones, a Leaf may pop up if the new temps on your schedule are more energy efficient.You’ll see Leafs on Energy History and your Energy Report too. When you’ve earned a Leaf for at least an hour a day, it’ll show up for that day on both your Energy History and will be added to your total Leaf count in the Energy Report. Leafs can appear in Settings, but won’t be added to your total Leaf count. You’ll see a Leaf when you switch to a more efficient setting, like turning off Early-On or moving from Max Savings to Max Comfort in Heat Pump Balance. That Leaf doesn’t add to your total Leaf count in Energy History or the Energy Report. It’s just there to show you which setting will help you save more energy. You can get a Leaf without doing anything, but you have to be super efficient. You’ll always get a Leaf by heating to 62°F/16.5°C or below or cooling to 84°F/29°C or above. Yes, the plural of Nest Leaf is Nest Leafs. If the Canadians can do it, so can we. Now, let the games begin. How many Leafs did you earn this month? Installing the Nest is Easy!